An Autumn 2017 Indie Next Pick! Named by Bustle as one of the "16 Books The Internet Is Going To Be Obsessed With This Year"
Perfect for fans of “Robin Talley’s What We Left Behind or Rainbow Rowell’s Fangirl” (School Library Journal, Starred Review), Gaby Dunn and Allison Raskin’s I Hate Everyone But You is a hilarious and heartfelt debut novel about new beginnings, love and heartbreak, and ultimately the power of friendship. So begins a series of texts and emails sent between two best friends, Ava and Gen, as they head off to their first semesters of college on opposite sides of the country. From first loves to weird roommates, heartbreak, self-discovery, coming out and mental health, the two of them document every wild and awkward moment to each other. But as each changes and grows into her new life, will their friendship be able to survive the distance? 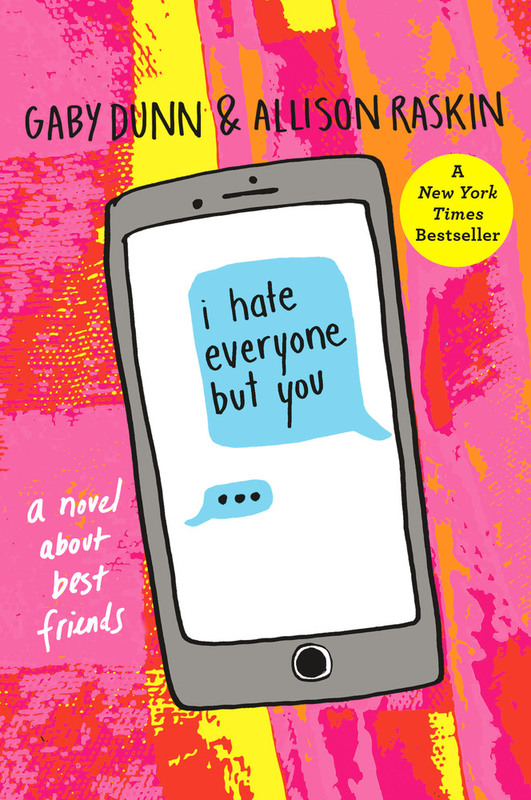 ALLISON RASKIN & GABY DUNN are two best friends and New York Times bestselling authors who live in Los Angeles. They started the comedy YouTube channel Just Between Us in 2014, which has amassed over 150 million views and have created individual podcasts, both of which have landed on the iTunes international top charts. Gaby’s journalism has appeared in pretty much every major publication and Allison has written some really funny group texts with her family. Gaby and Allison have developed television projects with Netflix, MTV, YouTube Originals and FX. They both love their dogs very much.